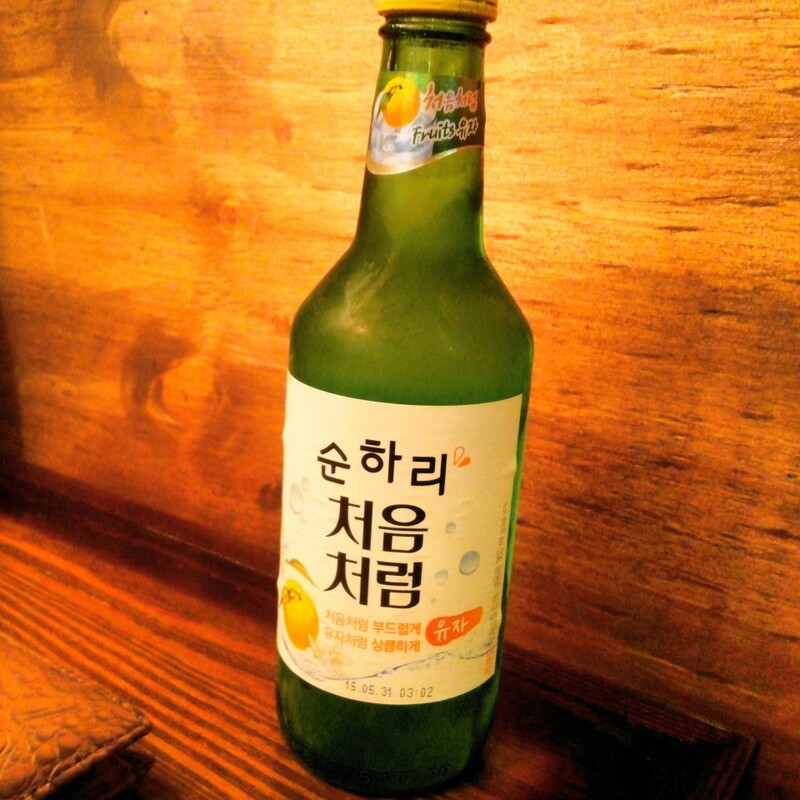 Citron Soju: Social Media Craze or The Future of Soju? 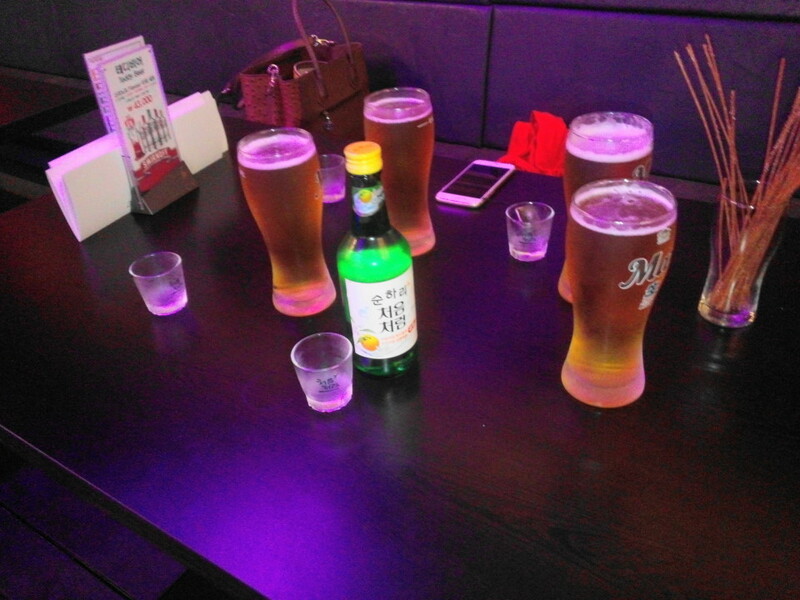 This past month has seen the emergence of a new super popular type of Soju. 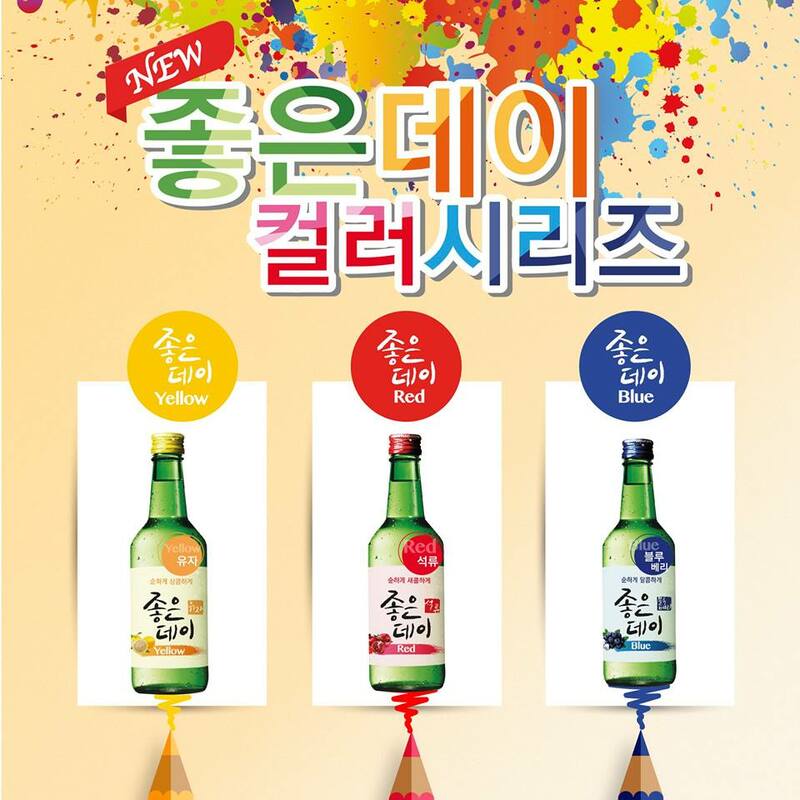 The 처음 처럼 순하리 유자 (basically mild Citron Soju) was released at the start of the month and has quickly developed a massive demand and popularity thanks to social media here in South Korea. So much so that the company (Lotte) and stores selling it cannot meet supply. It’s selling out within hours and people are bulk buying. 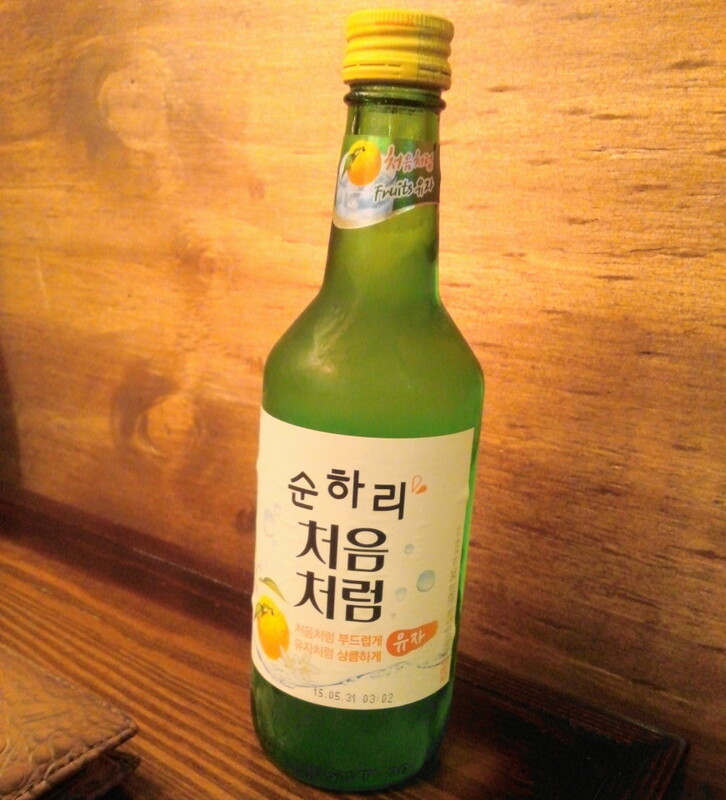 Some have compared it to the Spring Honey Butter Potato Chip boom, however unlike those chips some restaurants and bars have started to stock extras of this soju and it’s now easier to find. 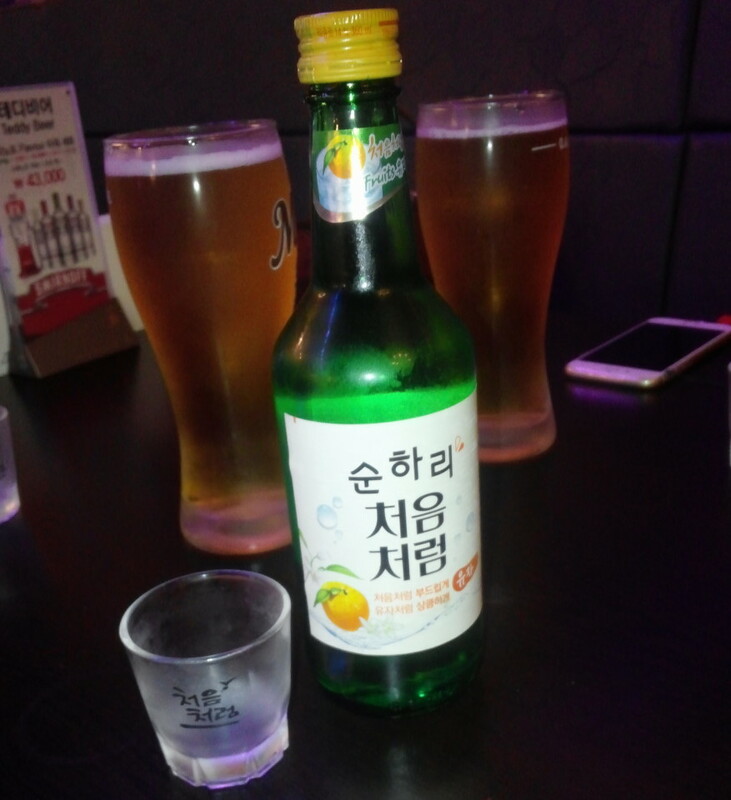 We couldn’t find any at our local supermarkets (Lotte Mart and Homeplus) or convince stores, however a few local bars and restaurants had a good supply for us to enjoy this past weekend. 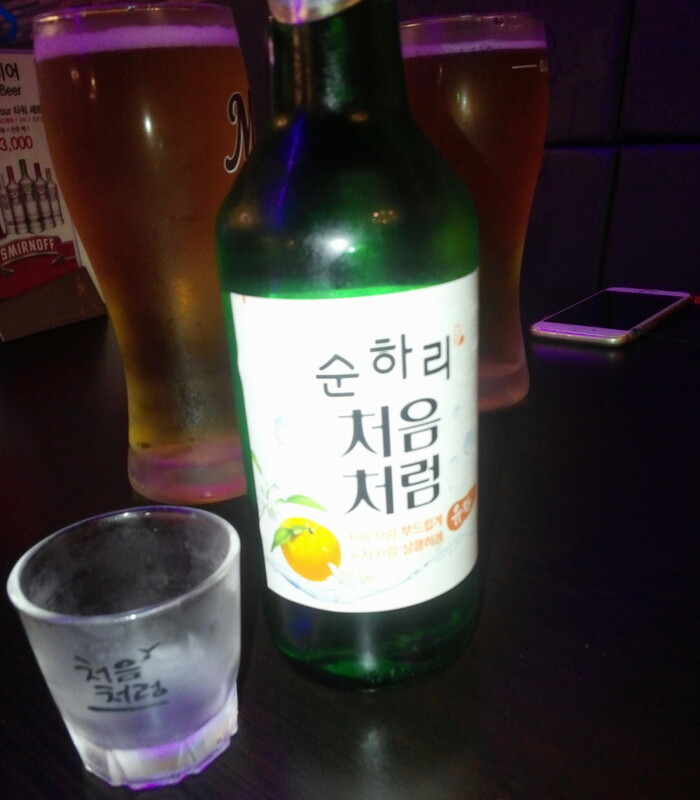 Thoughts: The taste is mild and not as harsh as regular soju. The alcoholic content is a modest 14% which still provides a kick but is most manageable. The Citron flavor isn’t over powering and we found it enjoyable. Overall it’s very enjoyable, with the obvious downside being it’s limited availability. 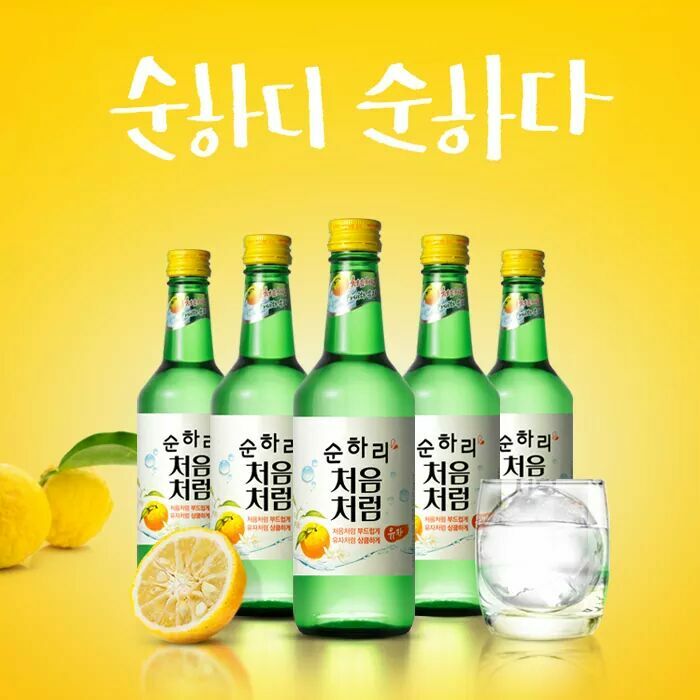 This will be a big thing this coming summer and if you look at brands such as Absolut flavored alcohol is big business and soju might benefit from it long term. 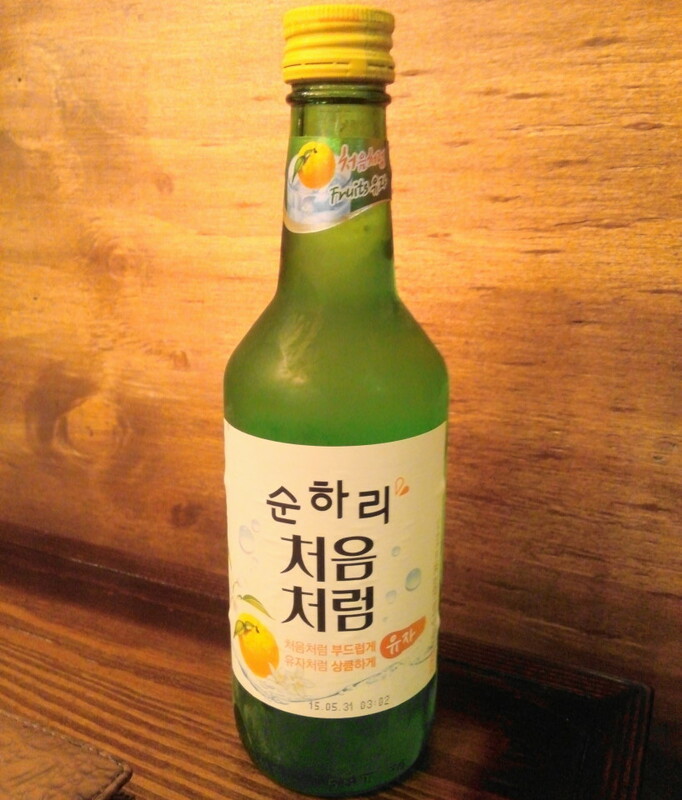 A few key words worth noting: 순하리 (Mild), 유자 (Citron) and the brand name 처음 처럼 (Chom Chorom). This brand also comes in Blueberry and Pomegranate flavors. 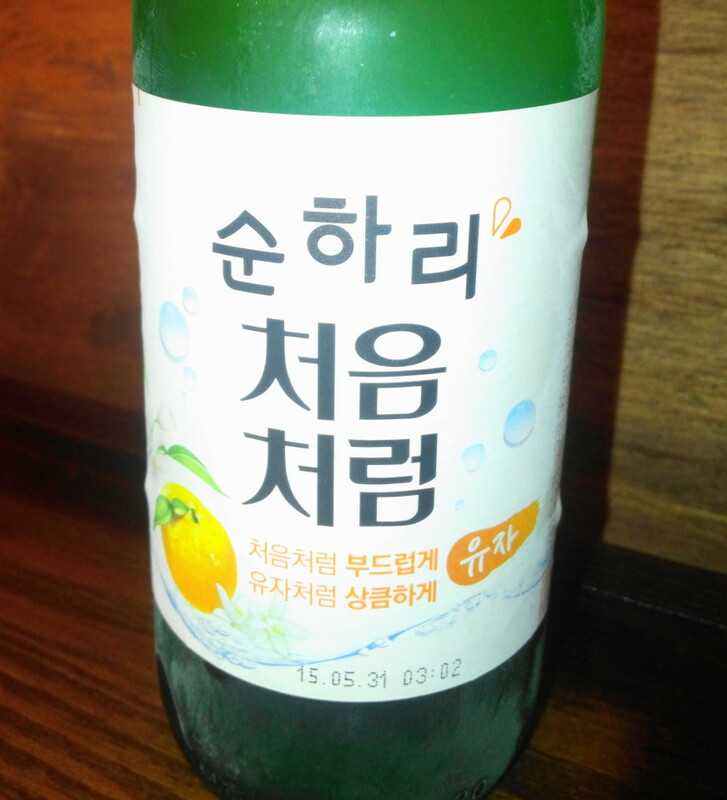 As always if you have any questions about Citron Soju, Flavored Soju’s or Alcohol in South Korea in general please feel free to let us know. Either below, by Email or via Twitter or Facebook.